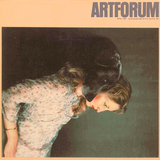 The Museum of Contemporary Art is organizing a retrospective of the work of Ralph Humphrey for the fall of 1982, to travel in 1983. I would appreciate receiving information concerning the present location of paintings, drawings and watercolors in order to assemble a working catalogue raisonné. Photographs and/or slides would be copied and returned. Radio or tape interviews, lecture notes or other primary source material would also be much appreciated. Director, Museum of Contemporary Art Chicago, III.